Tomorrow my little guy’s daycare is celebrating their own International Food Day. Parents were asked to contribute something for the kids to try. Although pineapple fried rice isn’t Vietnamese, it is Southeast Asian so I figured it was good enough. More importantly, most of the babies and toddlers love pineapple so I figured it had a better chance of being eaten by the little ones. 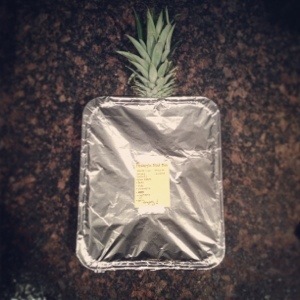 To make this dish I did a quick google search for ‘pineapple fried recipe’ and used a combination of recipes and what I had on hand. Not a good idea. It turned out just okay. This is a dish I will be working on in the future and once I get a recipe together worth sharing I will definitely post. For now, I am enjoying the whimsical presentation. What is your ethnic and cultural background? Do you have a special dish you usually make to celebrate your heritage? I have been meaning to write this post for awhile now. 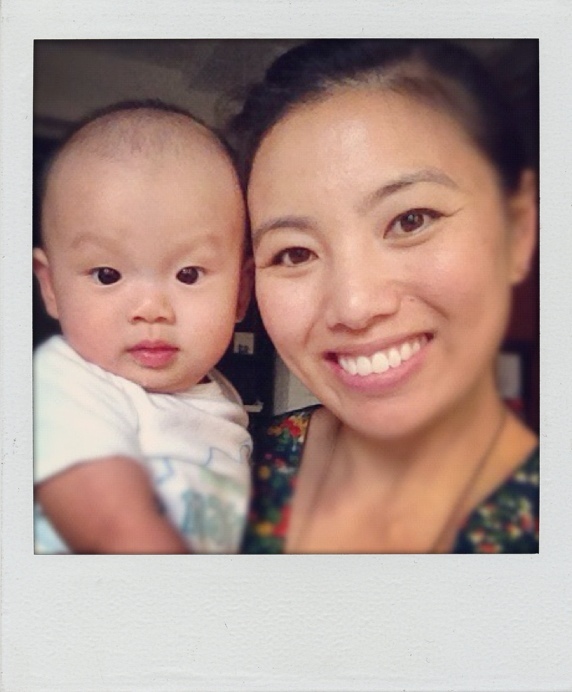 When I returned to work after maternity leave, I found that I had excessive lipase in my breastmilk. The result was soapy sour like milk that my little guy refused to take. After some research I learned how to treat the breastmilk so he would take it. I have a post about it here. Upon finding out that my little guy wouldn’t take the milk, I was sad at the thought of the milk going to waste. I did some research about breastmilk donation and found that despite the excessive lipase, human milk donation centers will happily accept it. Turns out babies in the intensive care unit get the milk through a feeding tube and won’t be bothered by the change of texture and smell. After completing some paperwork, I am happy to report that in early June I dropped off the milk at a local hospital. 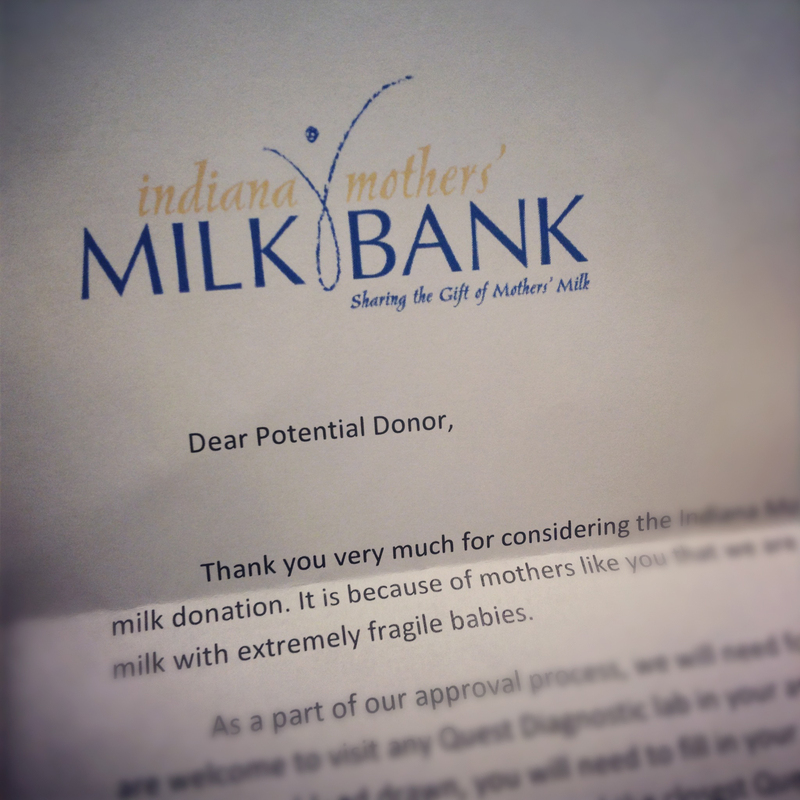 For those of you considering donating your breastmilk, I encourage you to. It is pretty rewarding knowing you’re providing for a baby in need. For many of the working moms out there, I am sure you would agree that the last week of maternity leave is pretty emotional. To add to an already rough week my little guy was refusing to take the milk I had stockpiled in the freezer. It turns out I have an excess lipase issue that causes my expressed milk to smell and taste soapy and rancid after just a few days. Learning this left me concerned, confused and frustrated. Luckily, I found several great resources on excess lipase. A resource I often turn to for breastfeeding issues is Kelly Mom. There is a helpful article about how to scald and store milk that has too much lipase here. According to the resources I found, some babies will still take it, but my little guy refused. I joke that he’s too much of a foodie to settle for my excess lipase milk. So I spent that last week before returning to work frustrated and disappointed. It was unfortunate that I had use my free moments pumping and scalding breastmilk, when I would much rather enjoy my last days of maternity leave with my little guy. Fortunately, my supportive hubby was there for me every step of the way. For those of you who are experiencing the excess lipase issue here is how I have been dealing with it. Before resorting to the extra step of scalding the milk, I had to first figure out if excess lipase was really my issue. To test my milk I divided my pumped milk into two containers. One of the containers was then labeled with the date, time, and the word “unscalded”. For the other container, I went through the process of scalding the milk and then labeled it with the date, time and the word “scalded”. I then kept a notepad near the refrigerator to taste test the two containers of milk. I made a T chart with one side labeled “unscalded” and the other “scalded”. I tested both containers every few hours and would write “ok” if the milk still tasted and smelled ok and wrote “no” when I knew my little guy would no longer take it. My unscalded milk smelled soapy and rancid by the end of the second day, while my scalded milk lasted four days. Based on my test, I did have excess lipase. When I returned to work, I was worried that I wouldn’t be able to scald my milk right away. I learned that scalding it when I got home from work was fine. That was a major relief. My advice for anyone with excess lipase would be to store your milk in a fridge rather than relying on an ice pack. It kept ‘fresher’ longer. I think this is the trickiest of all the steps. To scald the milk pour your milk into a saucepan and turn the heat up to high. Watch the milk carefully. Once the milk along the sides of the saucepan start to bubble immediately take the saucepan off the heat and pour the milk into a glass container. To quickly cool the scalded milk I put the glass jar of milk into a bowl of ice water. I would let the jar sit for about five minutes. After about five minutes of leaving the milk to cool in ice water, I would transfer it to the bottles for feeding the next day. I found that even with scalding the milk, my frozen milk still had a soapy consistency. I did my best to avoid frozen milk even if it meant some days we would have too much milk and eventually have to pour it down the drain. There you have it, how to deal with excess lipase. Don’t you think going back to work is already enough of an emotional rollercoaster? It was a tough week for me, but thanks to online resources I was able to get through it and know that while at work I was still able to breastfeed my little guy. Hopefully this post will help any other parents out there going through similar issues. For new moms out there, breastfeeding is hard, but worth it in so many ways. This was one of several occasions I considered formula but am glad I stuck with it. What issues did you have with breastfeeding? What was the result? Now, what about my freezer stockpiled with over 100 ounces of breastmilk? Stay tuned. Becoming a mother has affected my life in so many ways. One that I didn’t really consider before becoming a breastfeeding mom was how it would affect how I dress. Everyday, I make sure the tops I wear are breastfeeding friendly. Now that I will be returning to work, I have to consider breastmilk pumping friendly clothes. Here are my tips for stylish working moms who like me, have to pump at work. Wear separates. It is much easier to pump if you only have to take off a top, rather than a one piece dress. If you are choosing to wear a one piece dress, consider a wrap dress or a button down shirt dress. For tops, consider button down shirts, cardigans and blazers over nursing tops, and lightweight tops that are easy to take off and put on. Keep an extra neutral top at work, just in case you leak through your clothes. Any pumping style tips you would like to share? I would love to hear them.